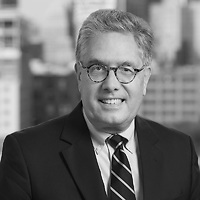 Tom Curry, a partner in Nutter’s Corporate and Transactions Department and co-leader of the firm’s Banking and Financial Services group, will moderate the “Cybersecurity and supervision, a view from the trenches” panel at the International Monetary Fund’s (IMF) Workshop on Supervision Activities to Build Cybersecurity. The panelists will discuss their experiences implementing approaches to cybersecurity, touching on the main challenges and practical solutions. The IMF is an organization of 189 countries, working to foster global monetary cooperation, secure financial stability, facilitate international trade, promote high employment and sustainable economic growth, and reduce poverty around the world. Created in 1945, the IMF is governed by and accountable to the 189 countries that make up its near-global membership. The IMF’s primary purpose is to ensure the stability of the international monetary system—the system of exchange rates and international payments that enables countries (and their citizens) to transact with each other. The Fund’s mandate was updated in 2012 to include all macroeconomic and financial sector issues that bear on global stability.